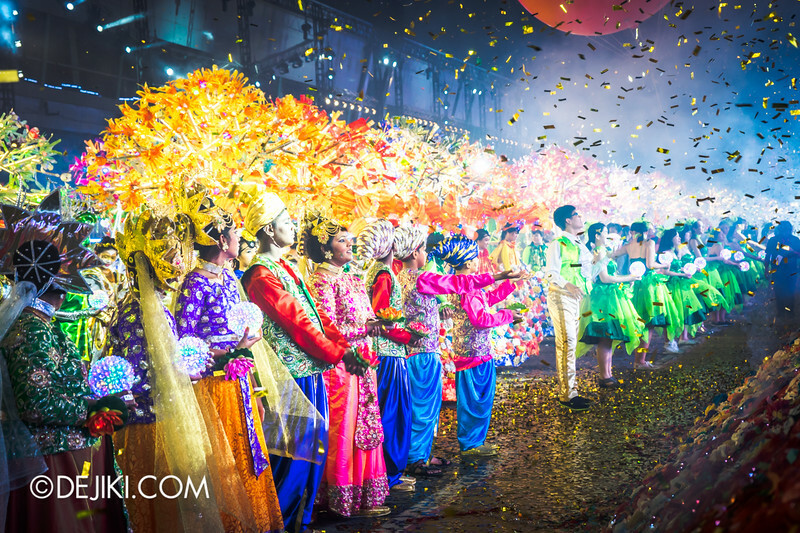 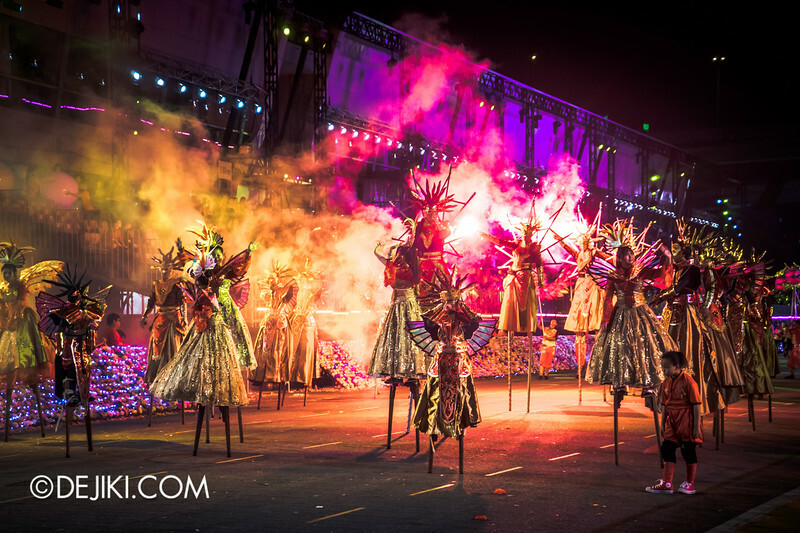 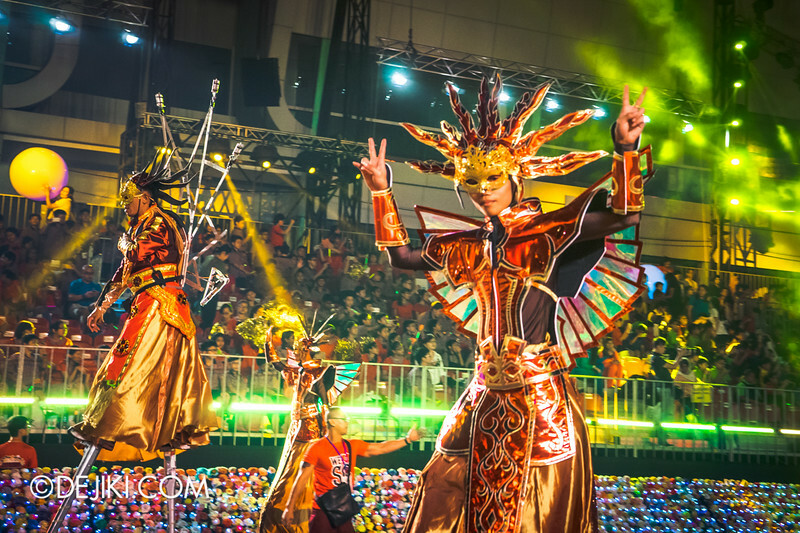 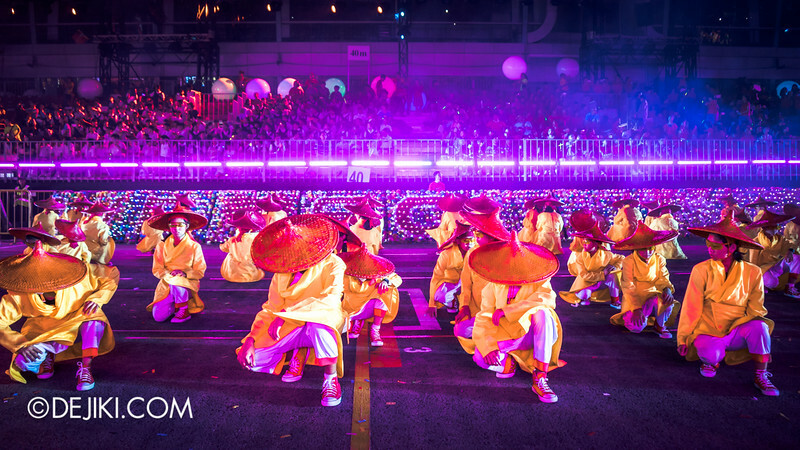 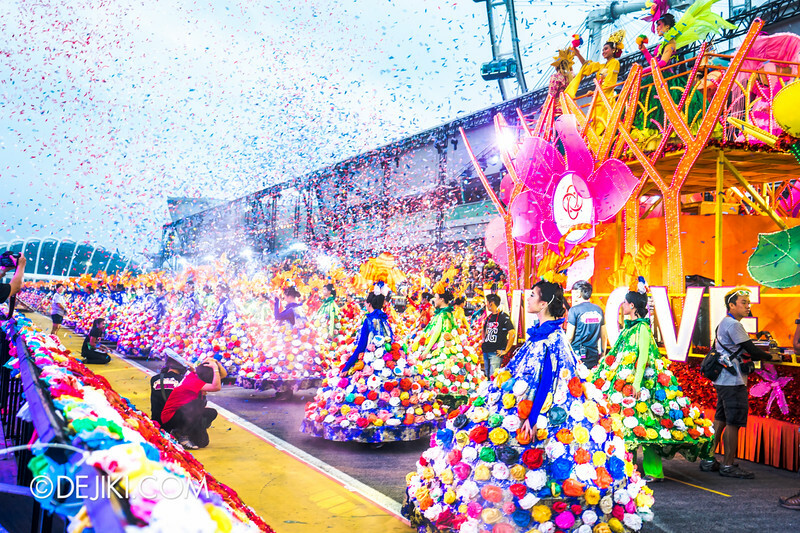 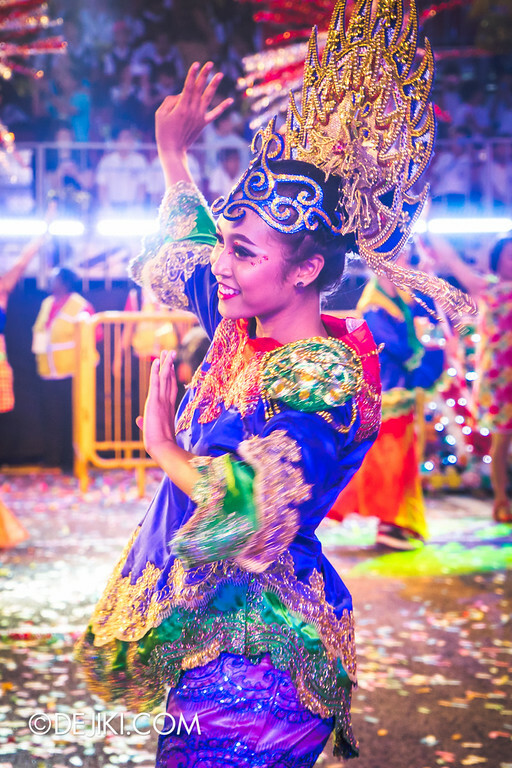 Billed as the biggest and grandest parade of its kind, Chingay 2015 promises to be a dazzling spectacle that celebrates cultural diversity in Singapore and around the world. 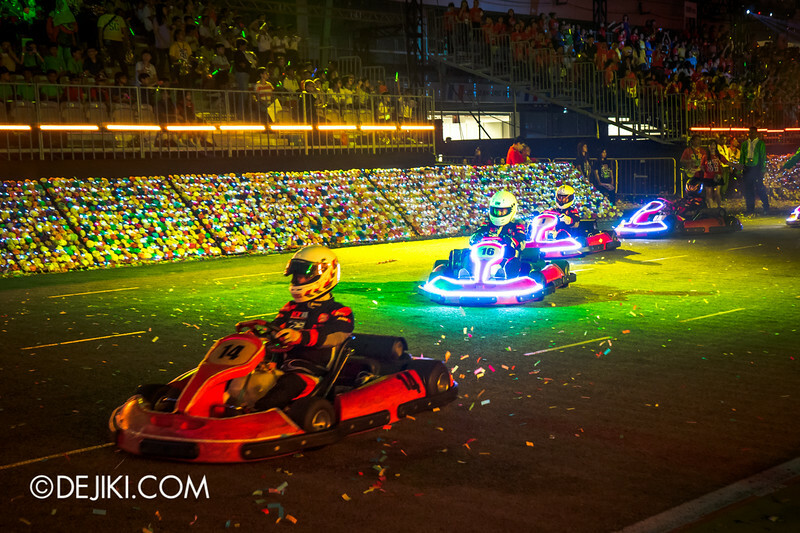 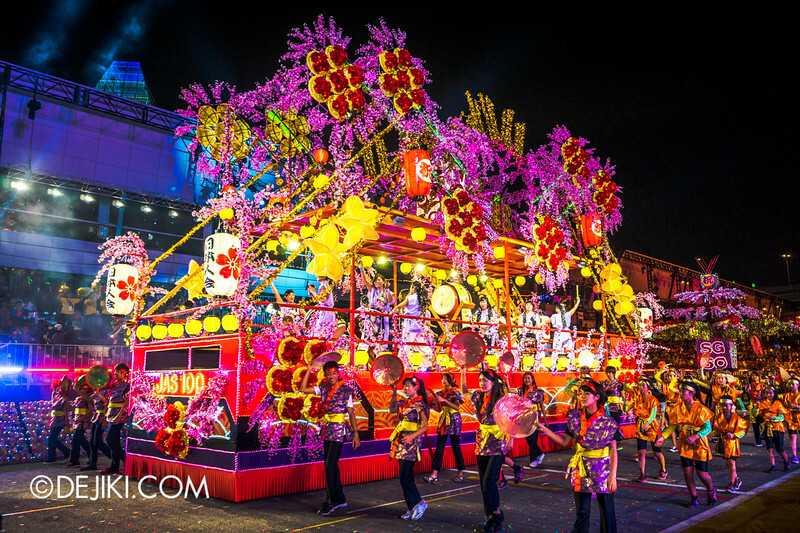 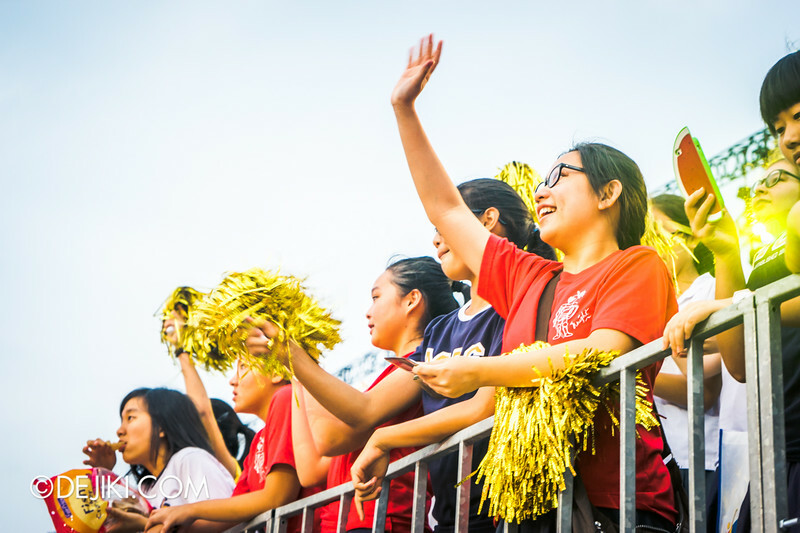 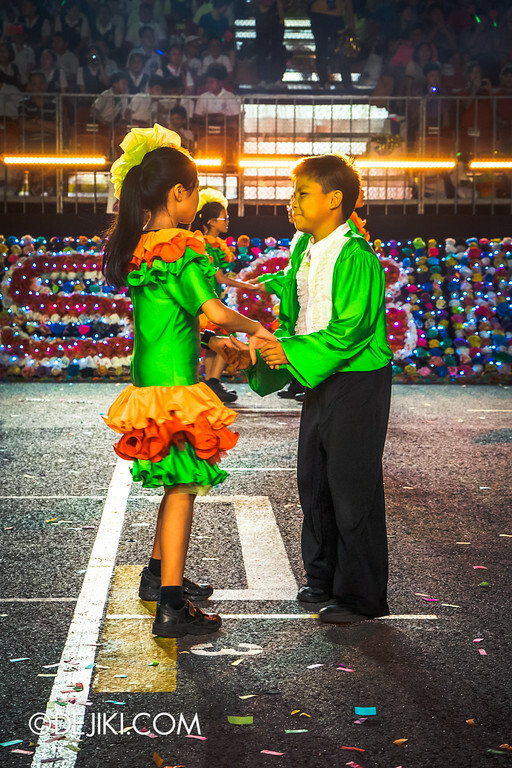 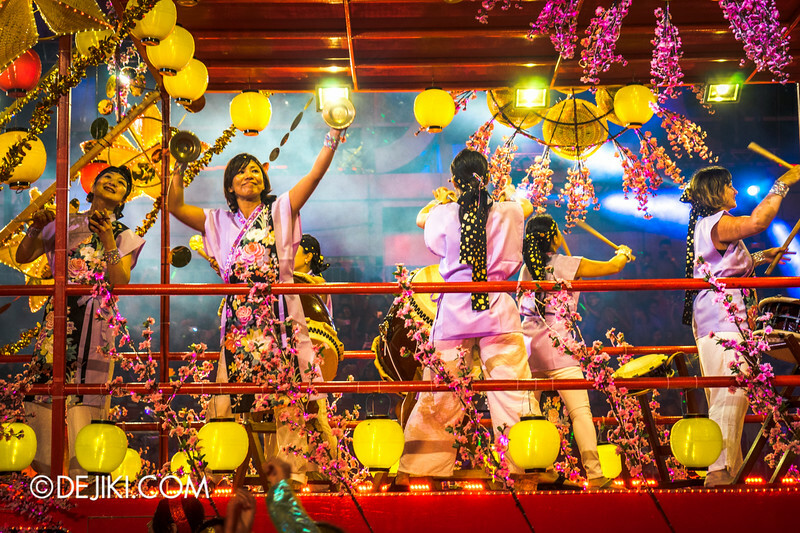 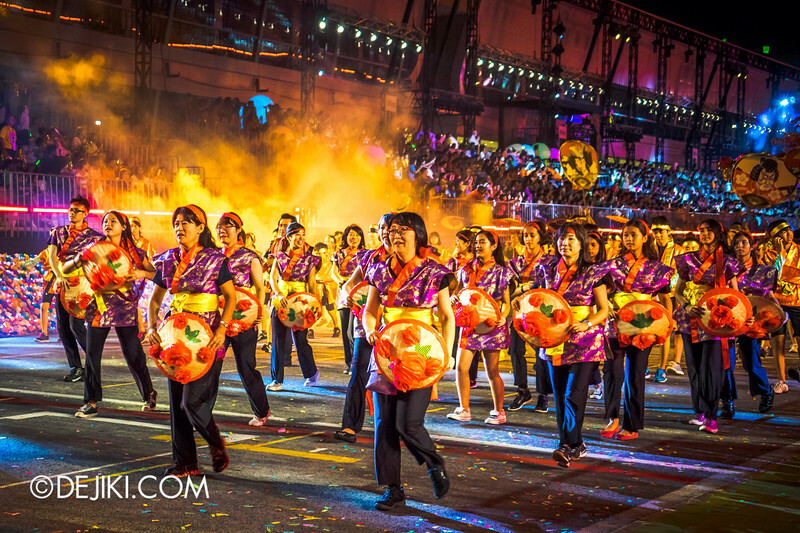 Chingay is a national event in Singapore that is held annually during the Lunar New Year season. 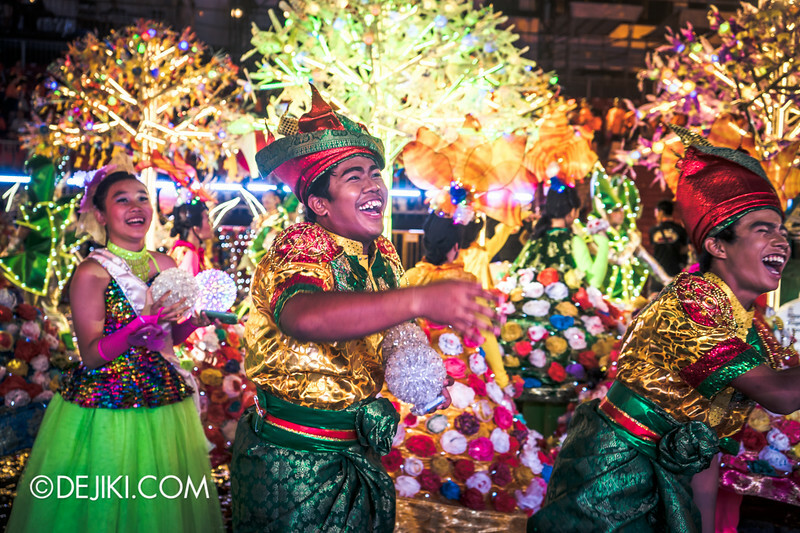 The dazzling parade started in the 1970s as a substitute for the bangs and whizzes of firecrackers (which are still tightly regulated today). 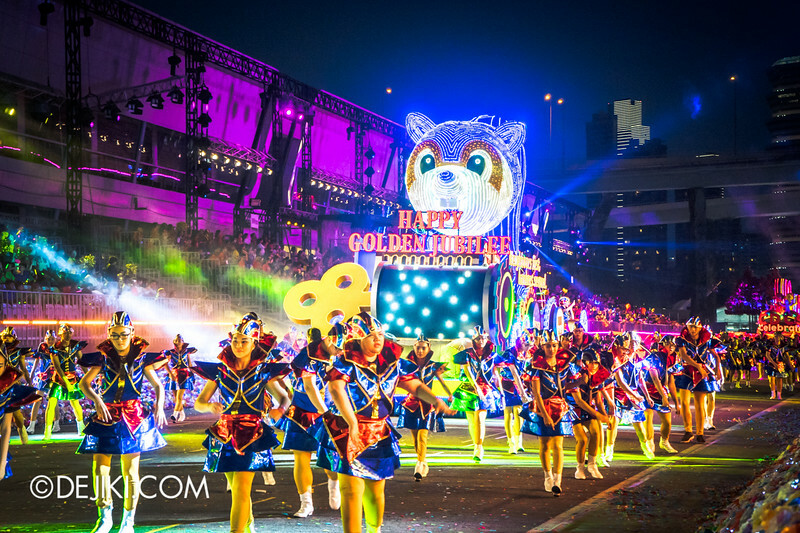 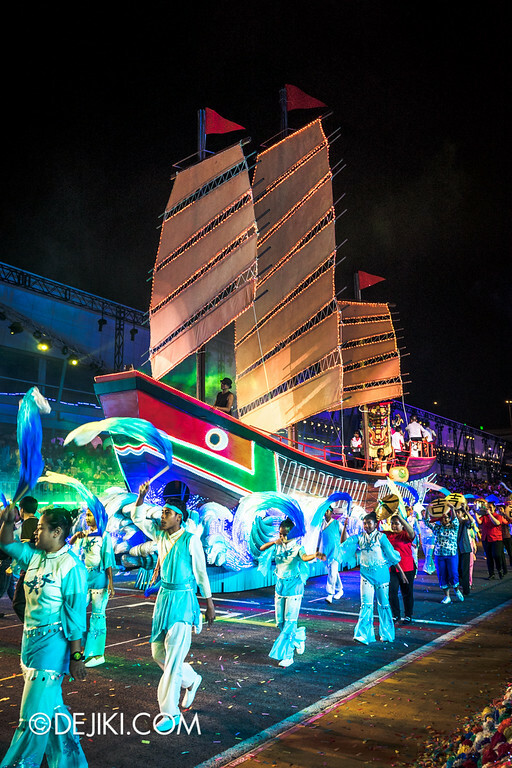 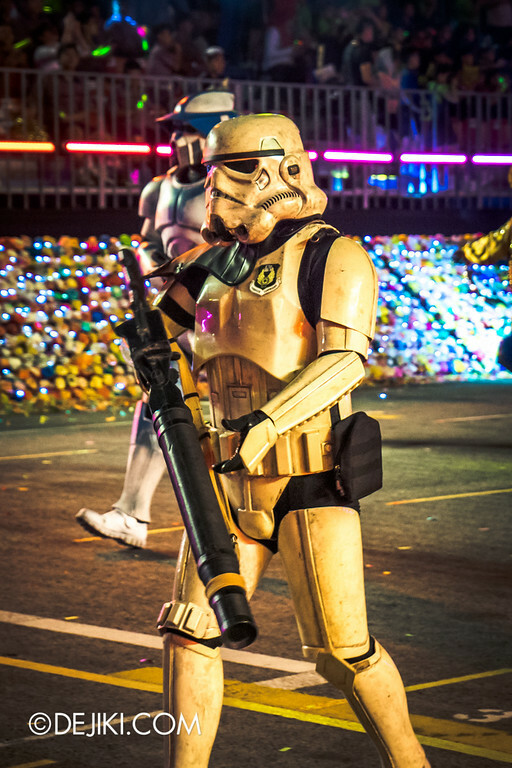 Over the years, the parade grew larger and moved about to different venues in Singapore. 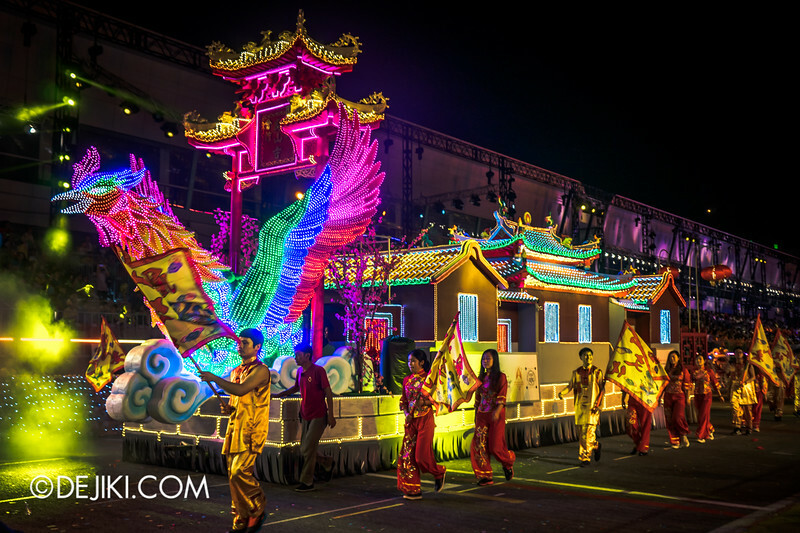 The parade usually involves extravagant floats, special acts and thousands of performers. 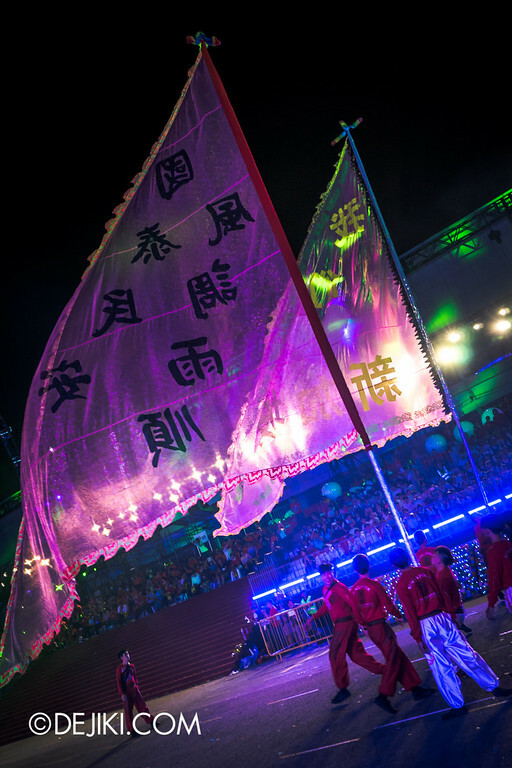 In 2015, the show lasted two hours. 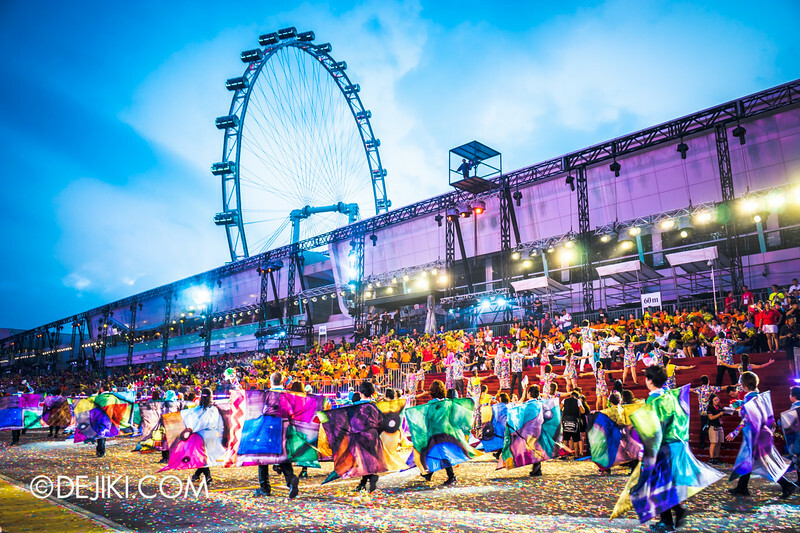 For years, I’ve always watched Chingay at home. 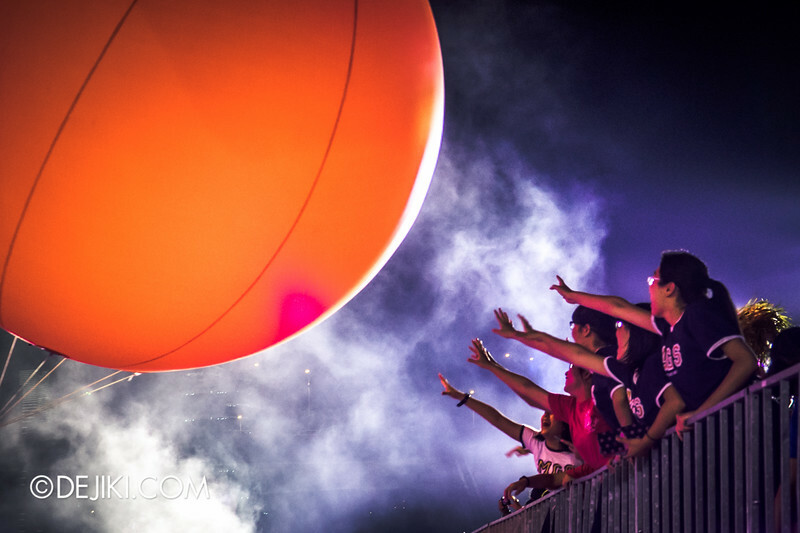 When it comes to such large-scale live shows, there’s no substitute to experiencing it live. 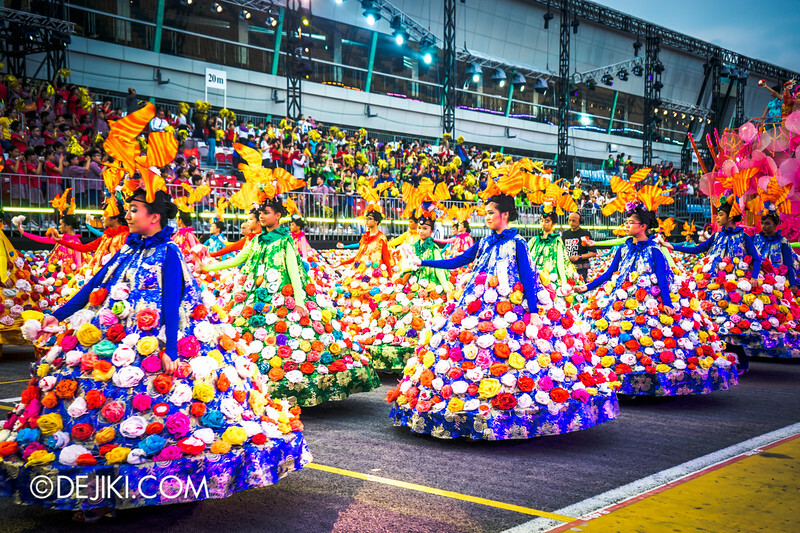 After catching a preview session of the full parade at the F1 Pit Building, I must say that the TV version completely fails to capture the scale of the event (and is marred by all sorts of distractions). 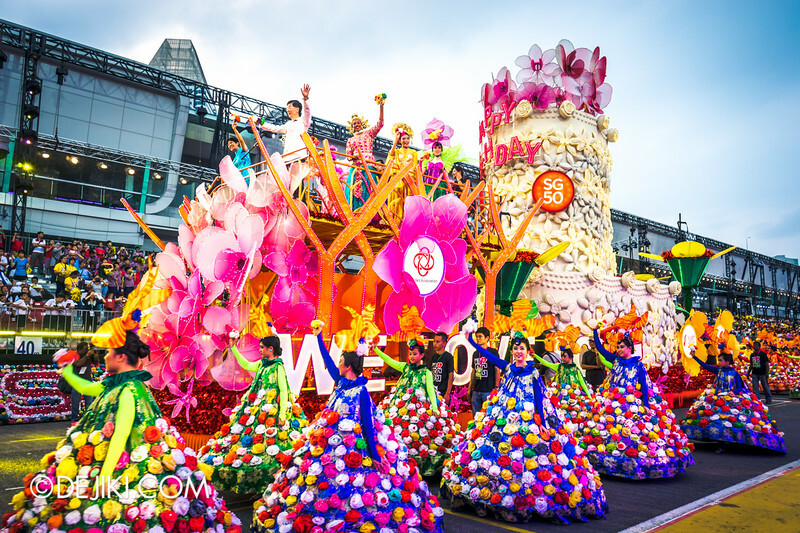 In celebration of SG50 – Singapore’s Golden Jubilee – this year’s Chingay is highlighted with a million handcrafted flowers representing love and wishes for Singapore. 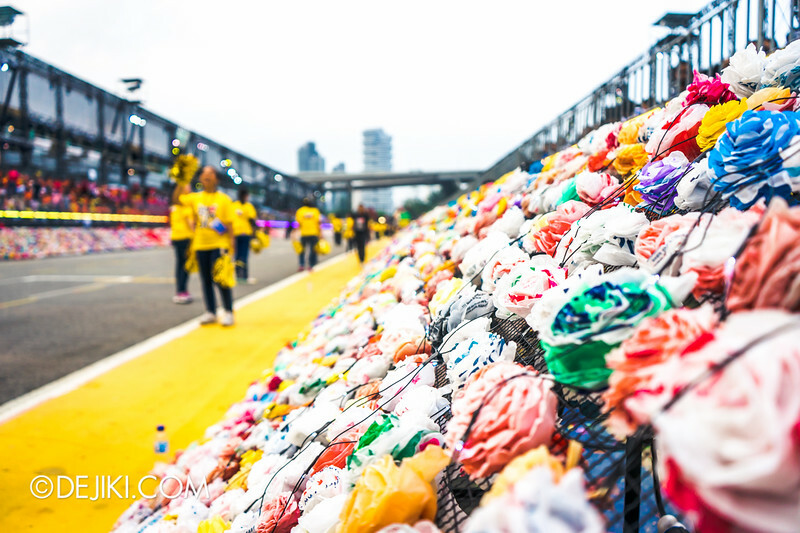 The entire lane beneath the seating gallery is lined with flowerbeds of “We Love SG Flowers” – made by recycled plastic bags. 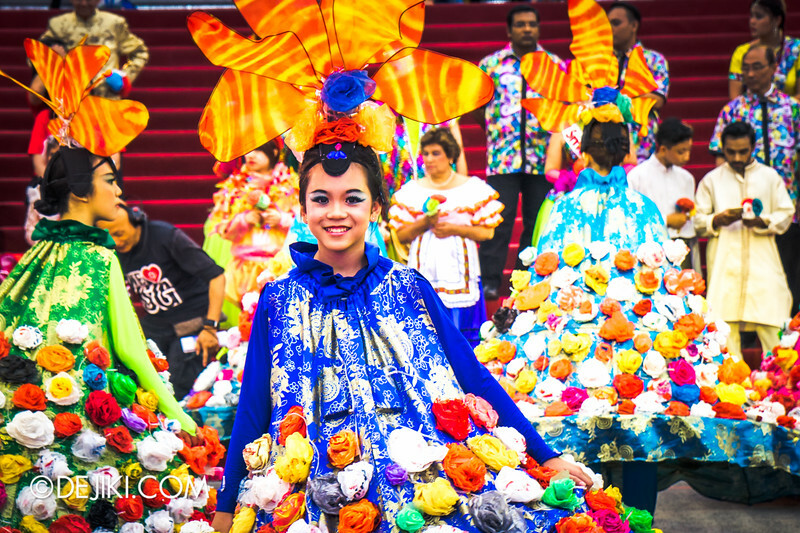 Hundreds of performers also don dresses that are embellished with such flowers. 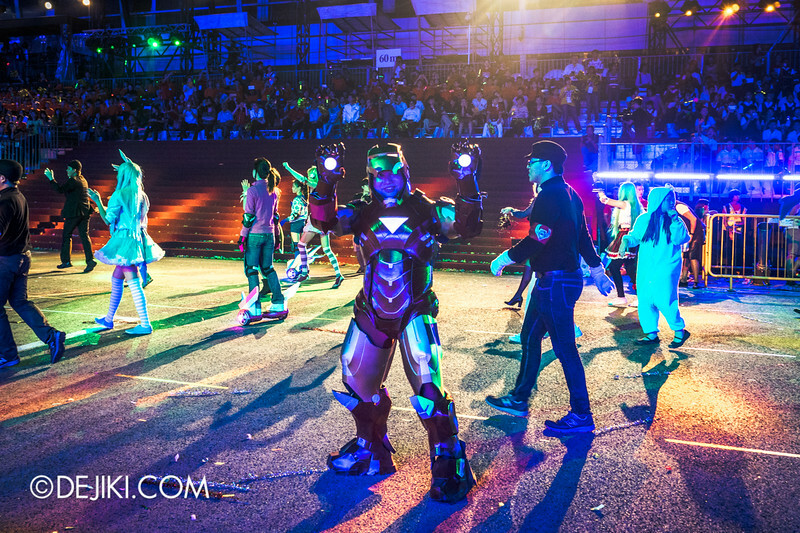 There’s even a mini cosplay segment! 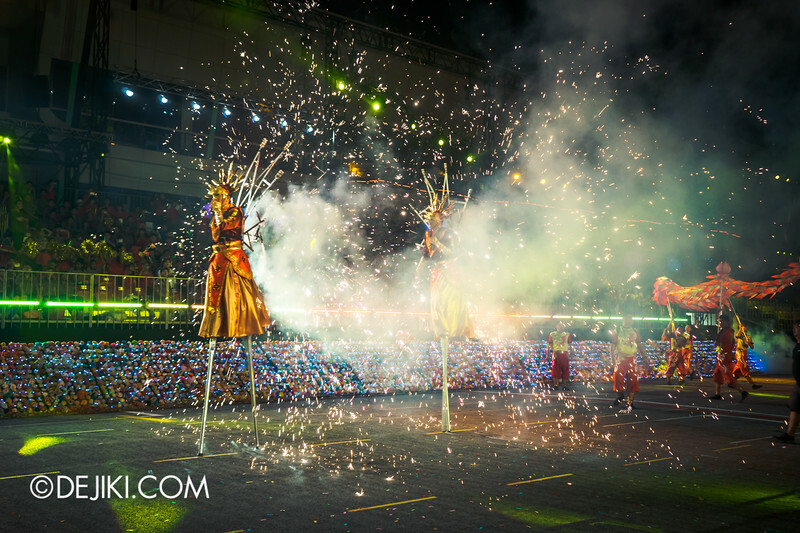 These stiltwalkers never fail to amaze the audience. 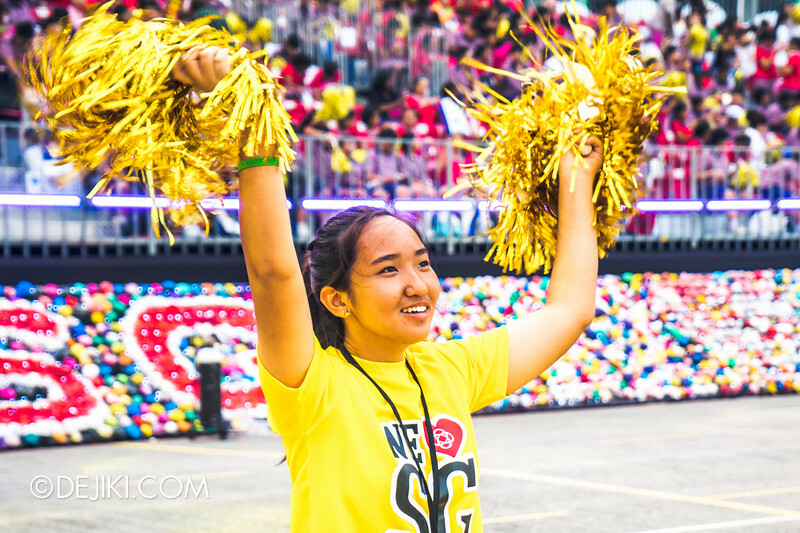 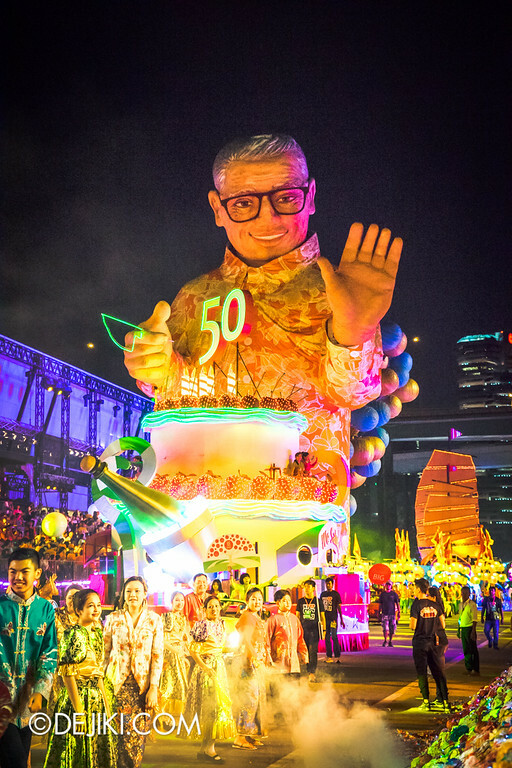 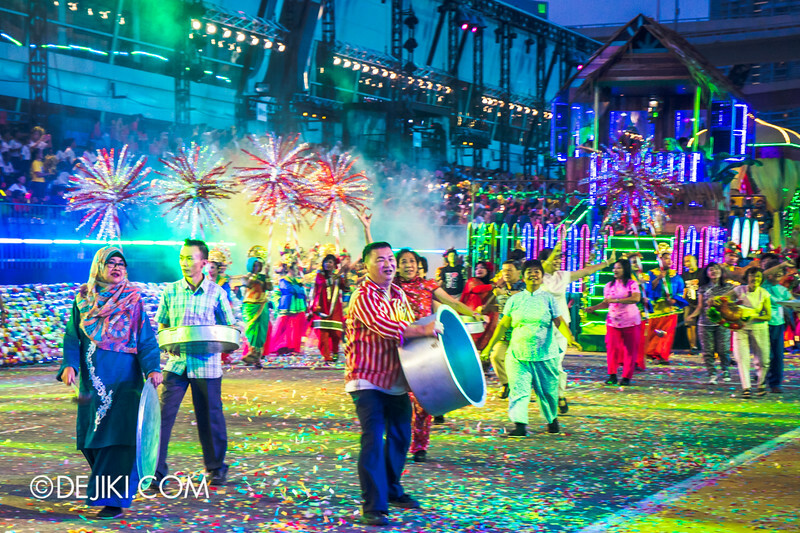 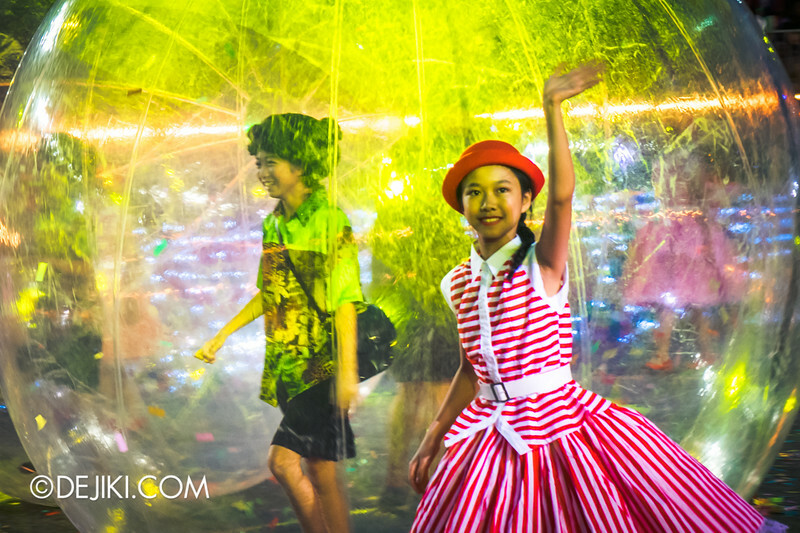 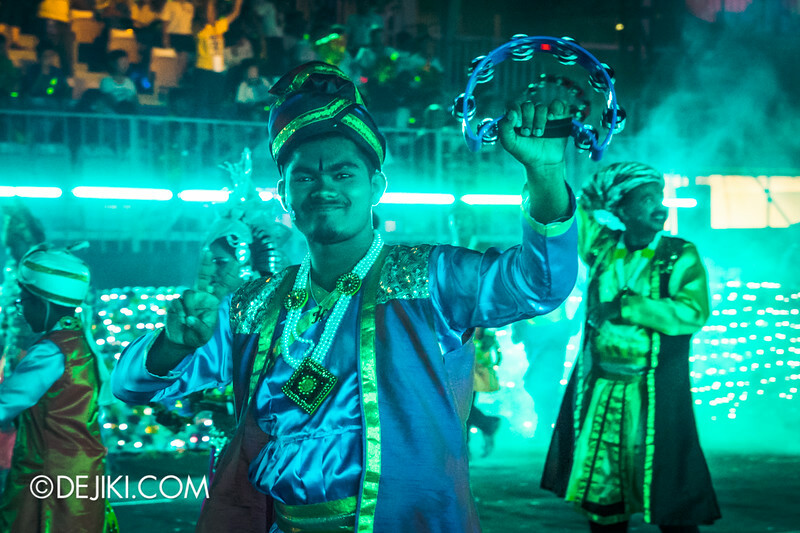 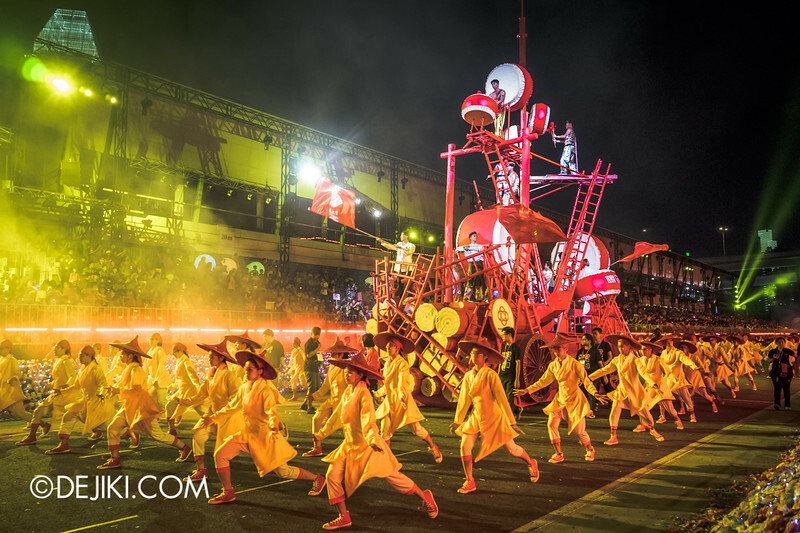 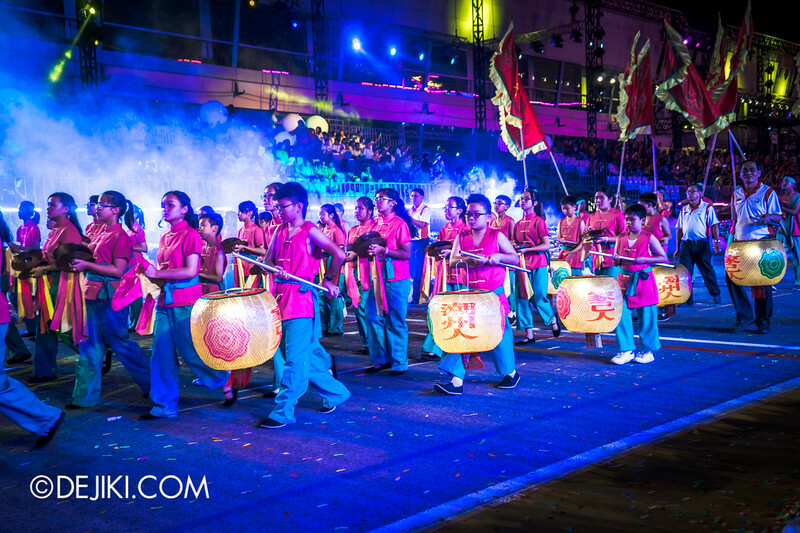 They might as well be kept as icons of Chingay – especially when they march down with spinning wheel fireworks. 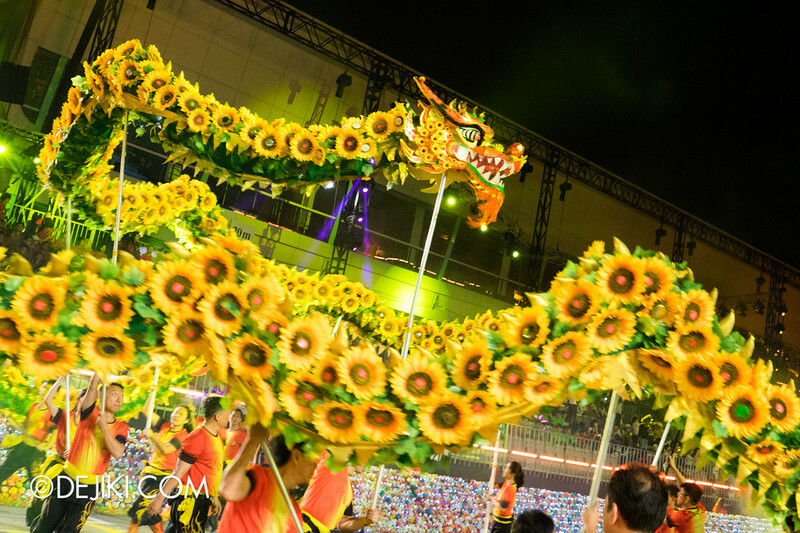 A refreshing take on traditional dragon dance: Check out the Sunflower Dragon, unique to Bukit Panjang Dragon Dance group, which makes an appearance at Chingay 2015. 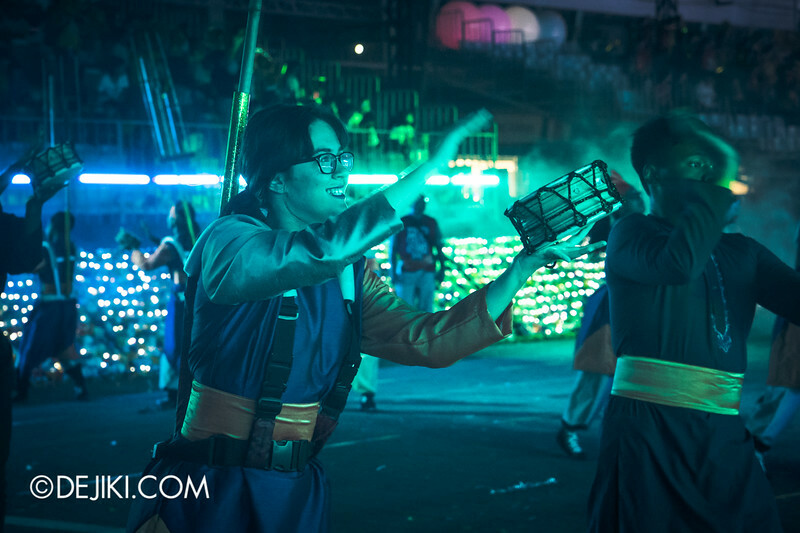 Windy conditions can make the parade more… interactive. 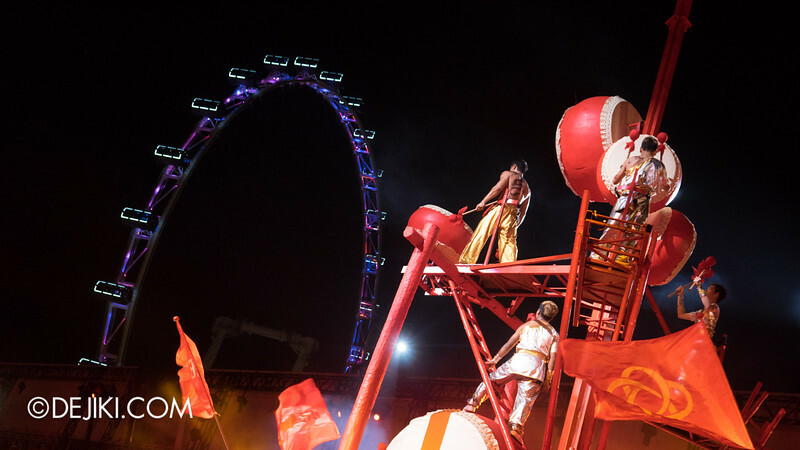 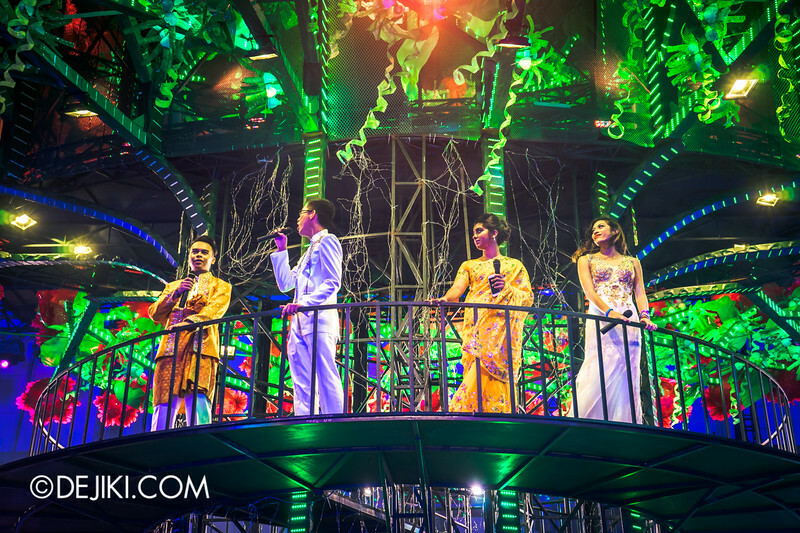 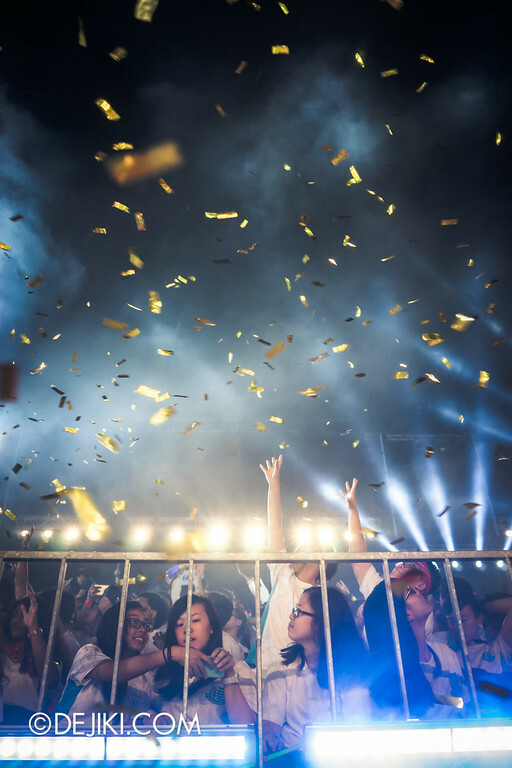 Even after the two Chingay shows at the end of February, the celebrations will continue around Singapore. 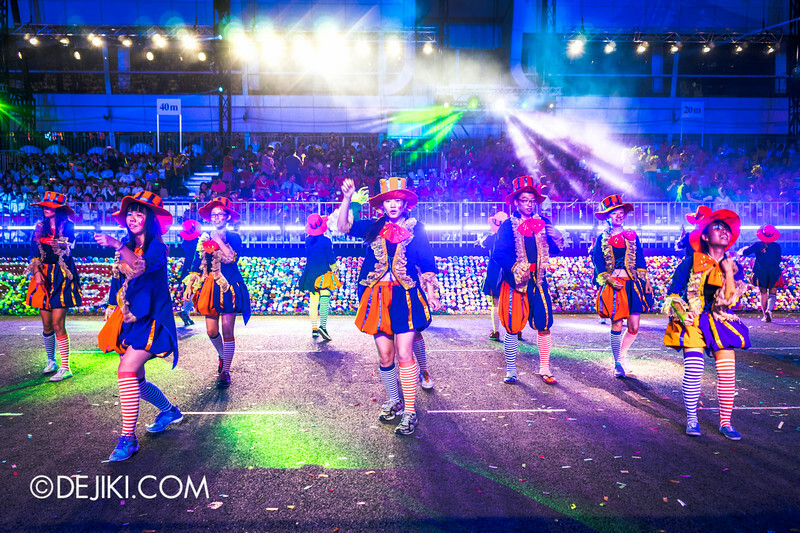 There will be a street party: Chingay SG50 Night Fiesta on 1 March 2015 at Orchard Road. 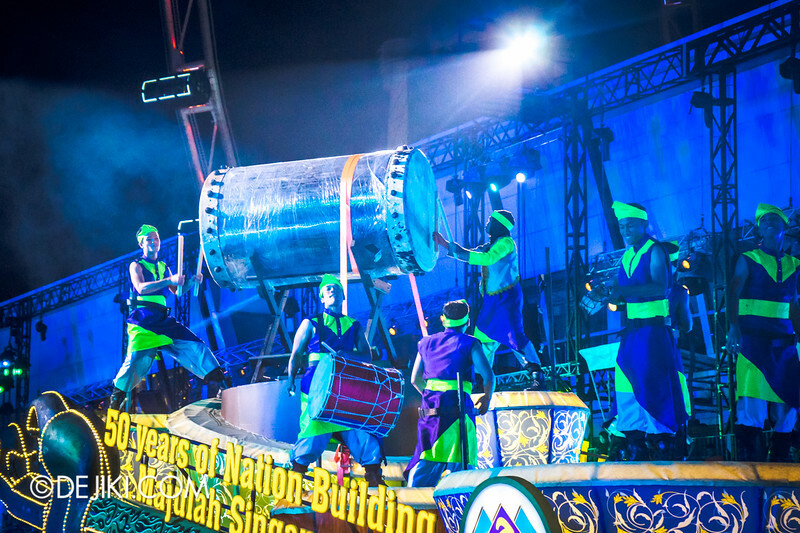 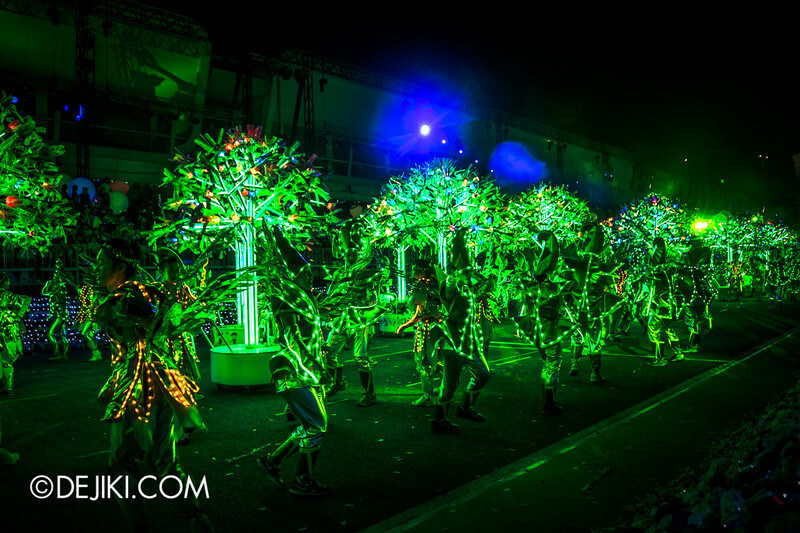 The parade will visit the heartlands throughout March 2015. 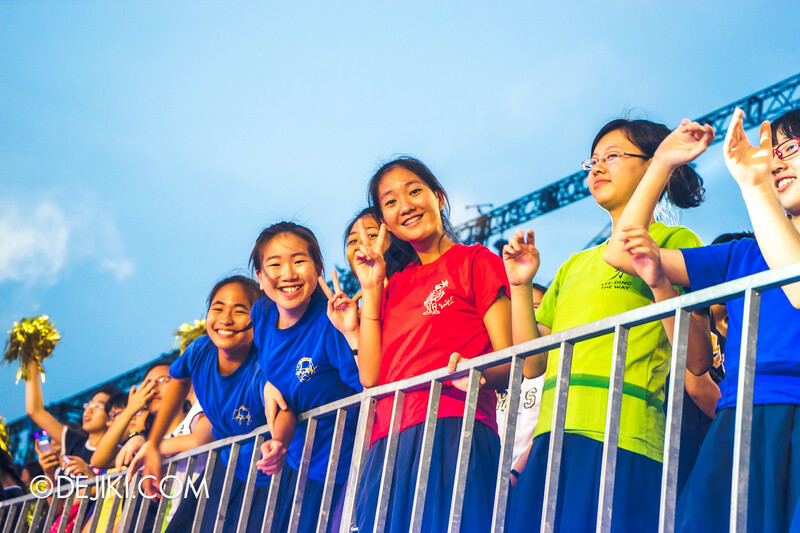 Tickets start from $28.50 for CAT3 seats, up to $60 for CAT1 seats on 28 Feb 2015. 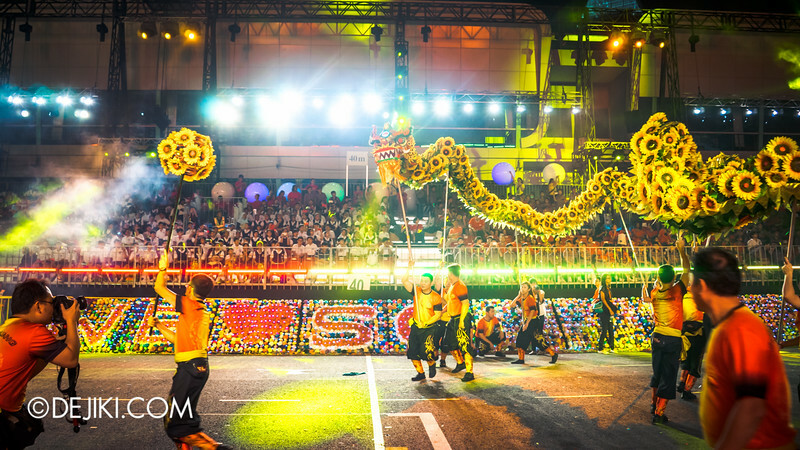 Click here to visit the Chingay website for more information and to purchase tickets. 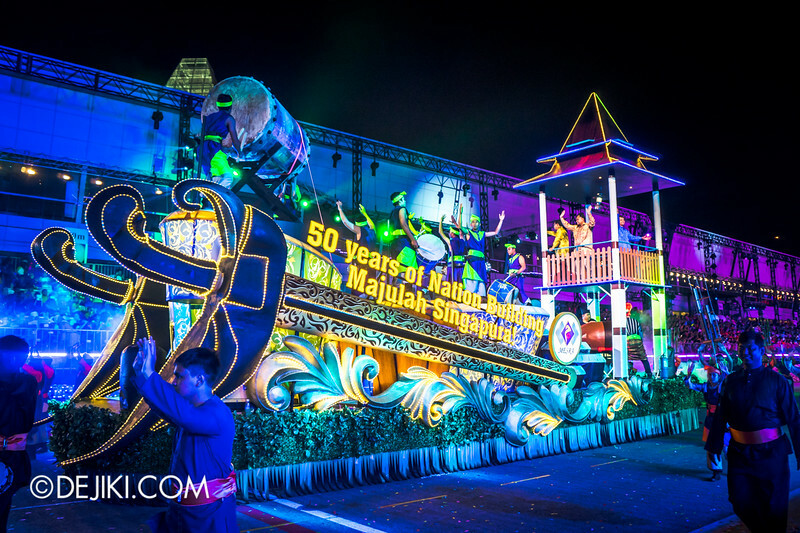 Special Thanks to Marina Bay Singapore for inviting Dejiki.com to experience Chingay 2015.